The museum has launched an updated website since we last covered the facility. Why not take a look! As you may recall, after the sudden loss of Phillip Love, Curator of the Wellborn Musclecar Museum, hours have been scaled back. The museum has also announced a significant remodeling effort is under way and will affect visiting hours. Upon completion, the new hours will be Saturday 10 AM to 3 PM. Private appointments through the rest of the week are being cancelled. We'll post another update in the near future. 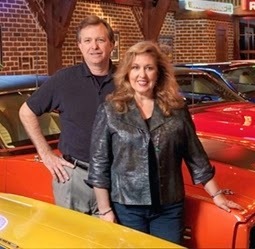 In the meantime, please enjoy this exclusive video as we visit the museum to learn about the extraordinary passion of Tim and Pam Wellborn and their passion to preserve American Muscle Car heritage.